I have been a massive fan of Ben Ottewell since the Gomez days of my late teens/early 20s (I’m showing my age now!). While his solo work obviously doesn’t allow any of the unusual harmonies he could create with Ian and Tom as part of Gomez, his unique voice means that his solo work is a treat to listen to. 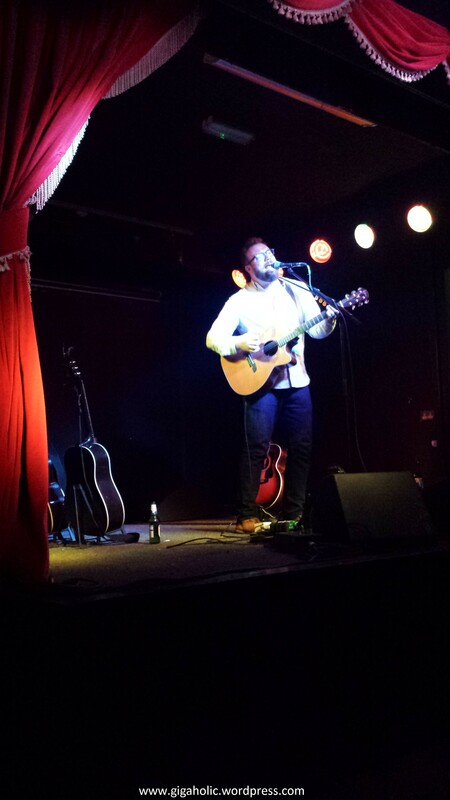 I reviewed the gig in more detail (see below) but just remember this night as one of my favourite types of charming intimate gigs where the focus is on the quality of the vocals and songwriting rather than the bells-and-whistles that go into bigger productions. Support act Michele Stodart was fantastic also. 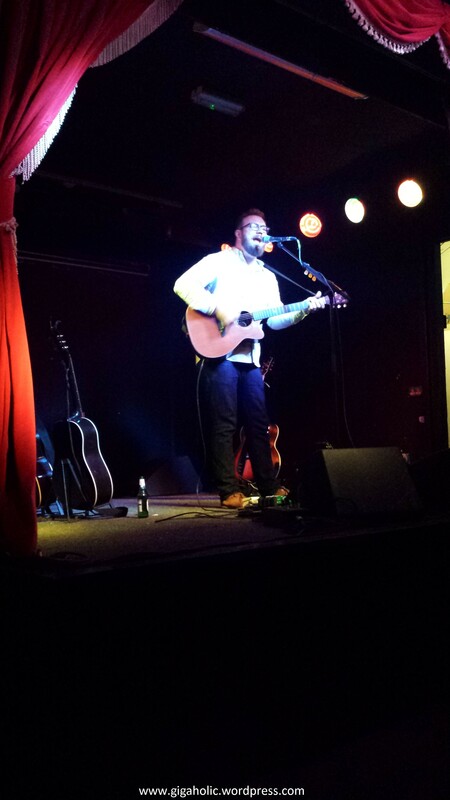 Taking to the Workman’s Club’s stage on a freezing, sleeting night in Dublin, Ben Ottewell’s intimate acoustic set was simply brilliant. Opening with the title tracks from his two solo albums, his recent release “Rattlebag” and 2011’s “Shapes and Shadows”, Ben set the tone for the night. He brought the audience on a meandering journey through his solo material, but also treated the crowd to some beautiful versions of Gomez classics, which pleased the more vocal members of the audience. His distinctive voice continues to blend a rich smooth baritone with a hint of gargling with whiskey and gravel. Added to this the fact that he is also an extremely talented guitar player, means that with a Ben Ottewell show, you’re never going to be disappointed. He also managed to successfully balance playing solo tracks, as this is his solo tour, with pleasing the crowd with imaginative takes on Gomez numbers – always a tricky ask. Personal favourites on the night were his solo tracks “Blackbird” (“Not the Beatle’s one”, as he pointed out) and “Starlings” (“Not Elbow’s One”, he giggled, leading to him stating that he “really needs to think up some more original song titles!”). However, hearing his solo takes on old Gomez favourites like “Get Miles”. “Love is Better than a Warm Trombone” and “Tijuana Lady” stole the show. Special mention must be made to support act Michele Stodart, bass player from The Magic Numbers. Charming, talented and endearing, she opened the night in style. Catch more from Michele here (https://soundcloud.com/michelestodart).